An outstanding performance of Hyderabad bowlers controlled RCB. It was a marvellous performance. Hyderabad gave target of 209/7 (20) on the back of a sensational knock from Warner and a blitzkrieg from Cutting towards the end. To chase 209 RCB got off to a flying start with Gayle and Kohli with 114 Runs partnership at this moment Gayle lost after scoring 76 runs off 36 balls but set it all up for his middle order. Kohli continued on from there and reached half century. After Kohli wicket Bangalore lost the plot. 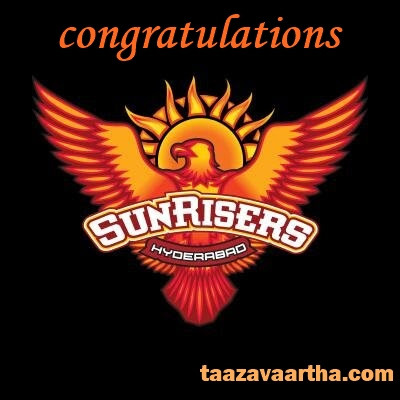 Sunrisers Hyderabad led by David Warnerhas won its first Indian T20 League. 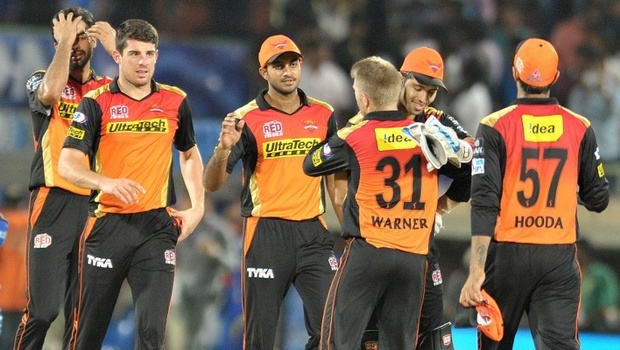 SRH become the 6th team to win the title and have fully deserved. It was a stunning team effort which has gotten them over the line. The entire Hyderabad dugout flare up and they charge out onto the field. Hyderabad won by 8 runs.